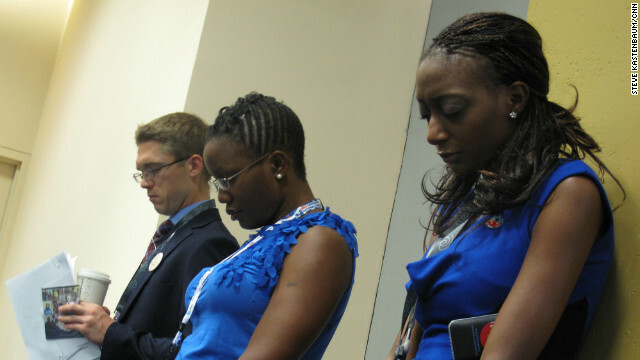 Democrats pray at a morning gathering at the 2012 Democratic National Convention in Charlotte, NC. Charlotte, North Carolina (CNN) - Heads are bowed in prayer inside room 211 at the Charlotte Convention Center. Last night, Democrats put the word 'god' back into their party platform following some strong criticism. For the folks at this daily prayer session though, god and the party never parted ways. Delegates here are fine tuning the message that you can have deep religious convictions and still vote for a Democrat. It's a puzzle the party has been trying to crack for years.